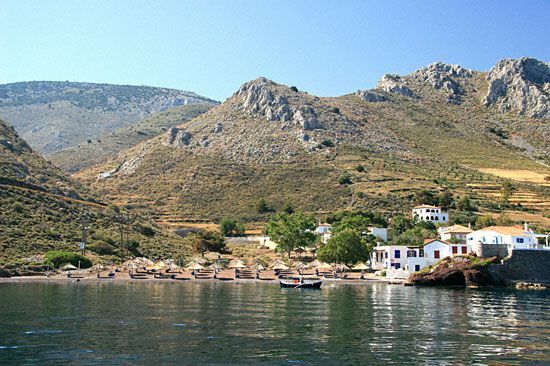 Vlichos (or Vlychos) is one of the few "real" beaches in Hydra and therefore it is very popular. 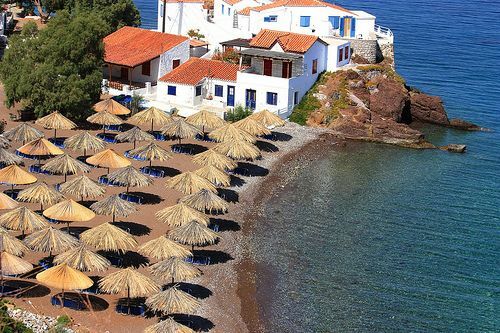 It is a small beach, also known as Plakes Vlychou, with grey peebles, clear waters and umbrellas. 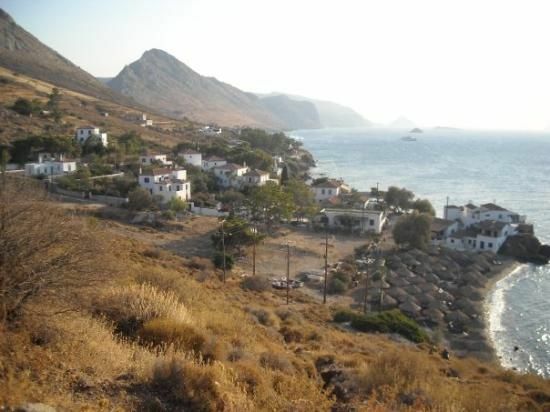 It is found next to the the little so-named resort, which has white washed traditional houses arranged on the slopes of the hill above the beach. 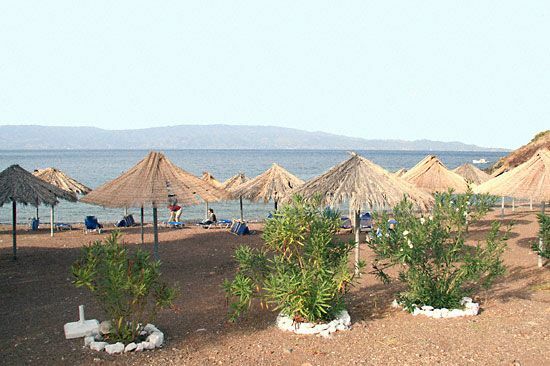 The place offers a nice hotel with a beach bar and restaurant on the beach and a few nice tavernas. 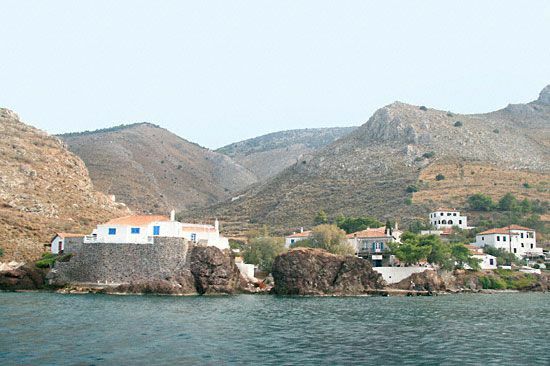 There is also a small chapel in the area which is dedicated to Saint Haralambos. 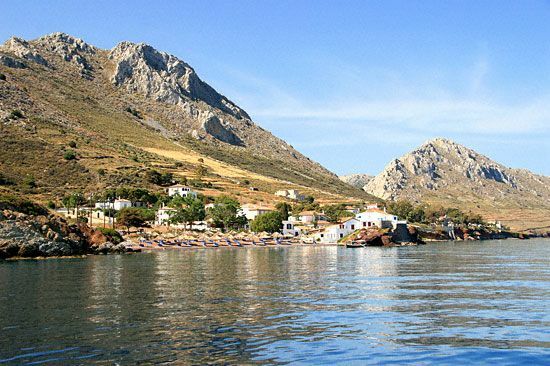 If you don't go there on your boat, you can use a sea-taxi (3min) or your feet. 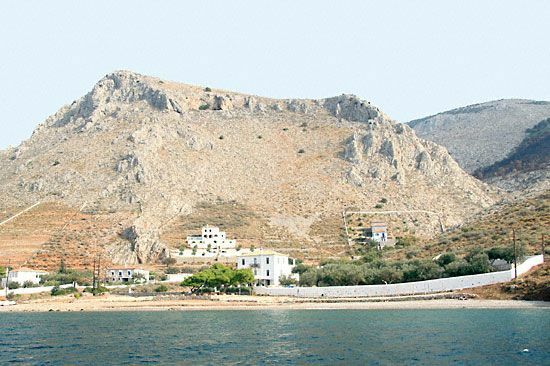 It will take you apx 30-40min (2km) to reach Vlychos from Hydra's port, along the scenic coastal road. 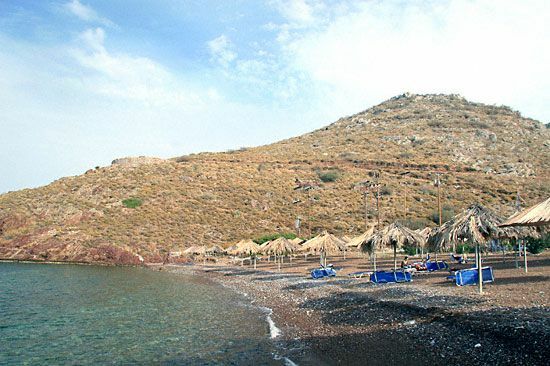 Evaluation: The beach itself, as most of the beaches found close to Hydra's Town, is a small typical peebly beach, which is usually crowded. In other cases it would probably be evaluated with 1 star. 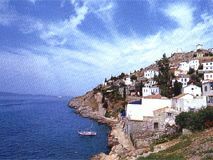 However, the picturesque village, the nice restaurant right on the beach and the whole atmosphere worth our 2.5 stars.